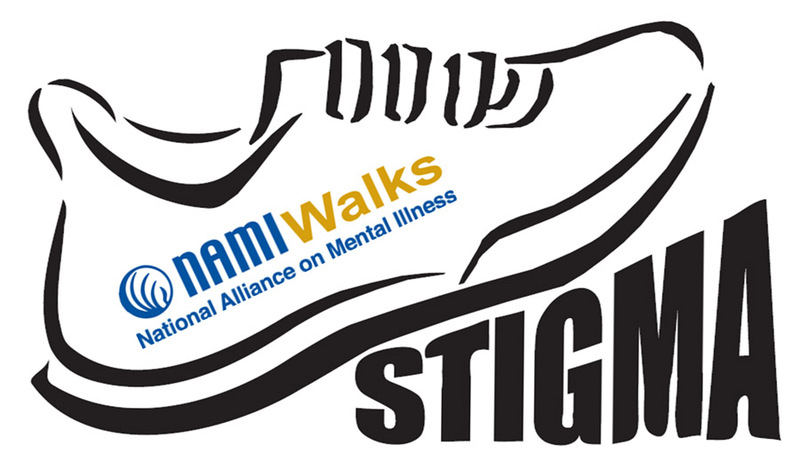 We are down to the last month before the Annual NAMI Walks which will take place on October 5, 2018 in Grand Park in Downtown LA. The National Alliance on Mental Illness is a nationwide organization providing support, access to services, treatment and education for thousands of families who have had or has a loved one affected by mental illness but also the community as a whole. 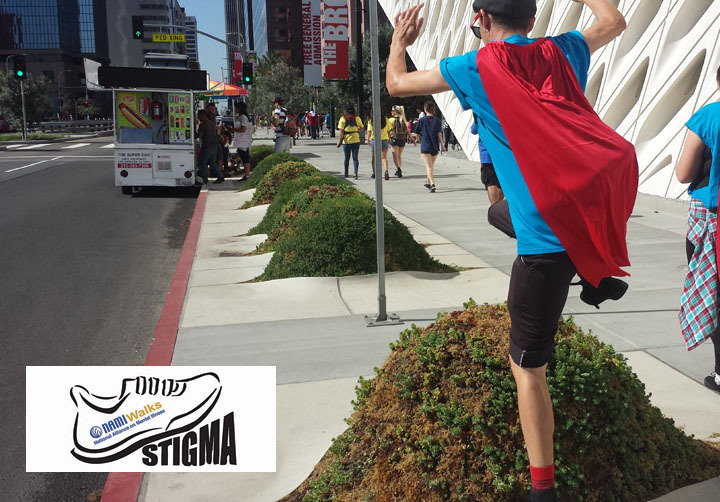 Every year they organize walks all across the United States and Bayfront proudly supports and participates in the movement to fight the stigma that hovers over mental illnesses. 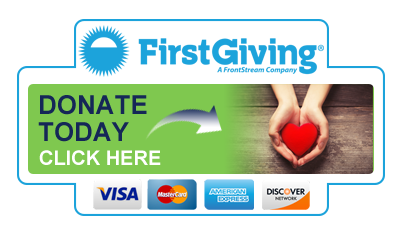 We are very excited and hopeful to meet our goal of $1,000 but we can’t do it alone! Please help us reach our goal! Fore more information on how to support the cause, please contact Andrea Carrasco or Brenda Ibarra, Team Captains via email at info@bayfrontyfs.org with the message of SUPPORT NAMIWalks in the subject line. You can also follow us on Facebook and Instagram to see where will be fundraising for the event! Join us Friday, September 18th from 4pm to 6pm at the Red Leprechaun at 4000 E. Anaheim St., Long Beach CA 90804 to support the Bayfront League of Heroes. The Bayfront League of Heroes Team will be walking on October 3 in support of NAMI Walks. The Bayfront Team is raising money for the National Alliance on Mental Illness (NAMI), a grassroots organization that provides free services to people with Mental Health needs and their families. Additionally, 15% of anything purchased at the event goes towards Bayfront’s Team. 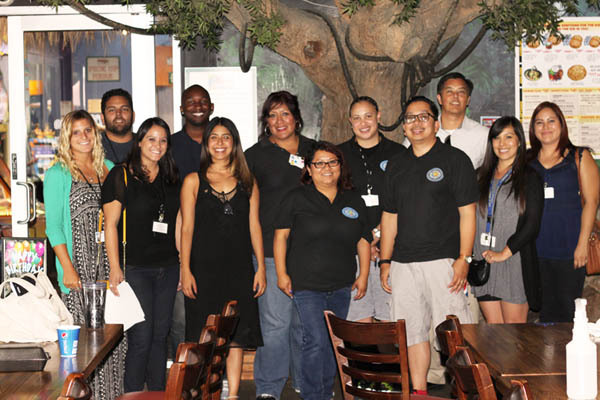 On Friday, September 11th, the Wraparound Advisory Council, which is a quarterly activity provided to clients and their families by Bayfront Youth and Family Services met at Mulligans in Torrance. The Wraparound Advisory Council is a way to create a fun and safe space for clients and their families to share their experiences since joining Wraparound. Bayfront Staff also assisted in distributing pizza and drinks to attendees. After the check in with the clients was done, clients and family members signed in and were given wristbands and a game card to play. While there, clients and their families enjoyed food and activities such as rock climbing, laser tag, miniature golfing, and more. Before breaking to enjoy these many activities, the clients and family members took time to engage in an open forum about their experiences in Wraparound. Clients shared what they enjoyed about being enrolled in Wraparound such as feeling supported, having extra assistance to accomplish goals, and extracurricular activities such as having meetings at Starbucks and receiving rewards to encourage them to accomplish their goals. Clients were also able to use this time to share how they feel Wraparound could be improved. During Wrap Advisory Council, clients are able to engage with others in similar situations and receive additional support from peers in their age group. With the ongoing effort of garnering community feedback for Bayfront Youth & Family Services, Long Beach 6th District City Councilman Dee Andrews paid a visit to the residential facility on Fountain Avenue. Andrews, a former Long Beach Poly athletic star and local dignitary, came to the facility to meet with many of the Bayfront staff and directors to share his experience and knowledge on working with young people in the Long beach community. Accompanied by Bayfront Youth & Family Services CEO Maryam Ribadu, Councilman Andrews was given a tour of the facility and sat down to speak with staff about the challenges they face in providing care to a needy portion of society’s youth. The staff took great care in showing Andrews the full facility, including client rooms, play yard grounds, cafeteria, and the rehabilitation buildings. Much to his appreciation, Councilman Andrews inspired the Bayfront Staff with a rousing pep talk about his support and gratitude for Bayfront, and all that is has done and is doing to provide a high level of service at the residential facility. “There is nothing that is as important as what is going on right here. You guys are the caretakers and caregivers of these individuals,” Andrews stated, referring to the clients staying at the facility. With his infectious smile and charm, Andrews and staff pose for a final photo outside of the facility and gives many words of wisdom about the future care of the youth by Bayfront and the importance of their actions. 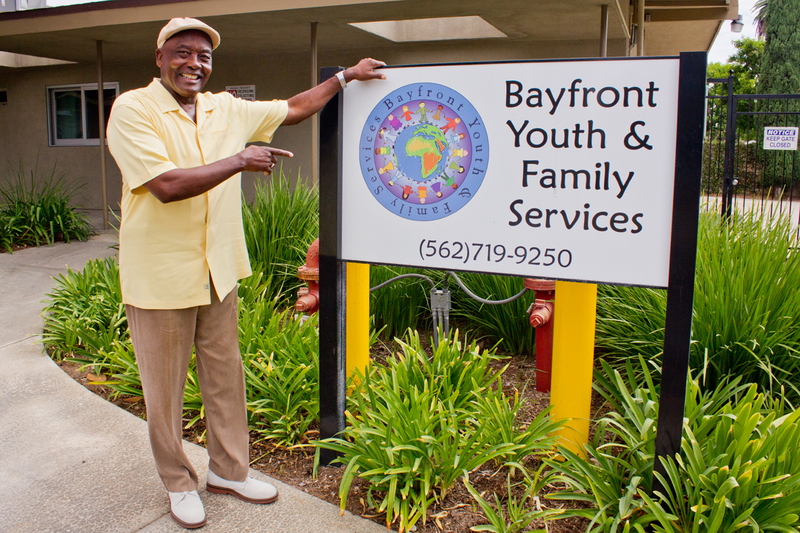 His personal support of the continued efforts to assist troubled youth in Long Beach has given Bayfront a very firm base to stand on. On September 3, 2015 Bayfront Youth and Family Services was honored to present our programs and services to the monthly meeting of The Long Beach Human Trafficking Task Force. 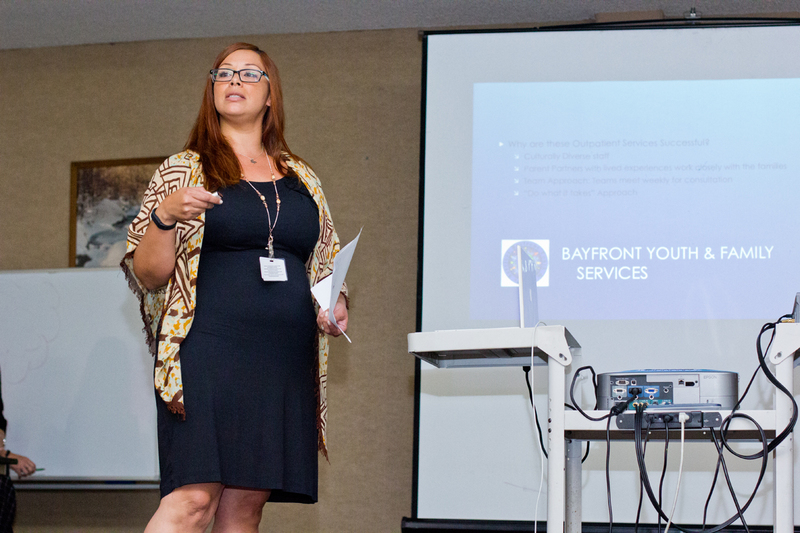 The presentation was given by Bayfront’s own Sandra Ruiz, Head of Services and Jennifer Vachét, Senior Social Worker. Once the presentation concluded, subcommittees were formed in order to facilitate different aspects of the taskforce’s mission. Subcommittees include a 101 history of trafficking, law enforcement, shelter and direct service protection, and prevention. Bayfront is proud to be an active member of the task force. The Long Beach Human Trafficking Task Force is a multidisciplinary, survivor-centered community collaborative consisting of law enforcement agencies and community-based organizations that work to combat human trafficking by identifying, rescuing, and empowering survivors, as well as assisting in the prosecution of traffickers. The Task Force meets monthly and is open to anyone interested in the human trafficking prevention efforts in Long Beach. If you are interested in Bayfront coming to your organization to speak, please reach out to us at Info@BayfrontYFS.org.